You are not going to want to miss today’s show. 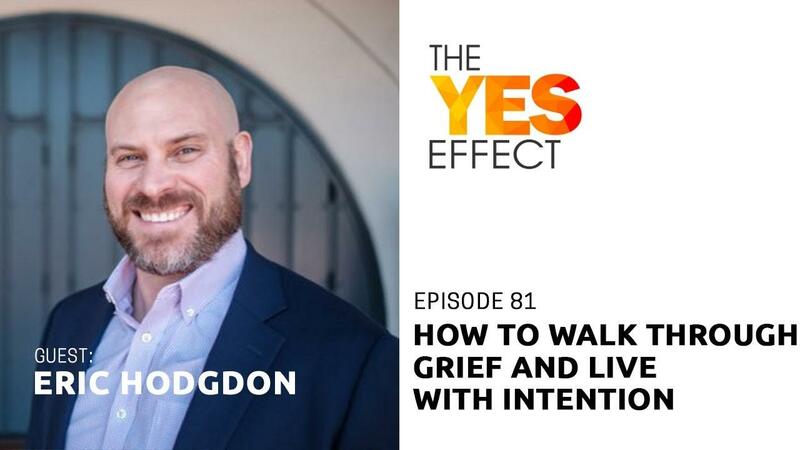 After losing his beloved daughter, today’s guest made a decision to not only heal his own life, but to advocate and educate for other people going through grief, adversity and struggles. His name is Eric Hodgdon, and this is The YES Effect Show! Eric Hodgdon (pronounced Hodge-dun) is Zoi’s dad, as well as dad to two older and very artistic and musically talented stepchildren: Arminda, and Christos. Eric Hodgdon is a speaker, trainer, and a warrior for resilience in memory of his dynamic daughter, Zoi. After losing Zoi in early 2014 to suicide, Eric vowed to fight for his family and all of his daughter’s friends to find a pathway back to better days. Eric now trains resilience leaders and others who are stuck in grief, to rise above the noise so they may thrive and see the beauty in life again. Eric lives in the Boston area. Visit Eric Hodgdon’s website at www.erichodgdon.com to learn about the upcoming Get Up 8 Live workshop in Boston, Eric’s bestselling book – A Sherpa Named Zoi, as well as Speaking information, The Get Up 8 Podcast, Corporate speaking and training information, Personal coaching programs and other free resources. Special thanks to Eric Hodgdon for joining me this week. Until next time!